Having a professional Curriculum Vitae (CV) or Resume is essential when applying for jobs and switching career. JobCred offers a new and free CV Builder. You can make your finest CV when you use the JobCred CV builder. You create the CV via the web based tool and download it when you want to send it to a potential employer. At JobCred we are looking continuously for ways to improve this CV Builder for you. To do so, we need your feedback on what you think of this tool and how good you think the CV or Resume is that you get out of it. As a reward for those who spend a few minutes to give us their feedback, we are now organizing this contest. 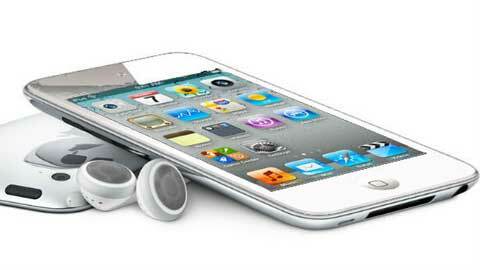 In this contest you can win a great iPod Touch with Wi-Fi. You can choose if you want a black or a white one (or cash instead). To participate in the contest and to grab your chance to win the iPod Touch, please do the following. 1) Sign up here for the JobCred CV Builder. It is free (and always will be free). If you signed up before; great. No need to sign up again. Just continue with the next steps. 2) Create a CV/Resume with JobCred and download it. Your CV shall contain at least one employment (for students this could be a summer job), one education, one skill, and a personal statement. 3) Click on the survey link and complete the short feedback form. Do this at latest by April 15, 2012. Give constructive feedback. It does not matter if it is positive or negative. Just be honest. 4) Confirm your participation in the contest via the Rafflecopter form below. Thus the last day to participate in this contest is on April 15, 2012. Between April 16 and April 22, 2012, we will announce the winner of the iPod Touch here on this page and contact him or her directly via email. After you have created and downloaded your CV and completed the very short feedback form, confirm in the form below your participation in the contest. This contest is open for both existing and new users of the JobCred CV Builder tool. Now please share this contest via Facebook, Twitter or Google+ with your friends. They will thank you for pointing out this free CV Builder to them. And they will thank you for the chance to win an iPod Touch.